Bovine Ska and Rocksteady 3/11/15: Horace Andy – LILY & GENEROSO 4EVER! We started off this past week’s Bovine Ska and Rocksteady with a Derrick and Patsy cover of a song that might go down as one of the most influential in Jamaican music history. “Let The Good Times Roll” which was a huge hit for Shirley and Lee not only only in the States but in the early days of the Jamaican sound system. So popular was this cut and Shirley’s childlike vocals that it inspired a generation of Jamaican female vocalists like Millie Small, and Millicent “Patsy” Todd who does a fine job on this cover. It was followed by seven songs from the Jamaican Rhythm and Blues period including Bobby Aitken’s 1962 cut for the Blues Label, “Hello” and the Blues Busters “Lost My Baby” a beautiful side on the Starlite label in 1992 as well. And after a set of mento and a pretty set of rocksteady that began with a rare one from Prince Buster from 1967 called “This Gun For Hire!” We then started a long overdue spotlight of Horace Andy. Born as Horace Keith Hinds, Horace Andy was born in Kingston in 1951. The cousin of Justin Hinds, he also had a very distinctive voice, so in order to delineate himself from his cousin, Coxone Dodd actually picked a different stage name for him. 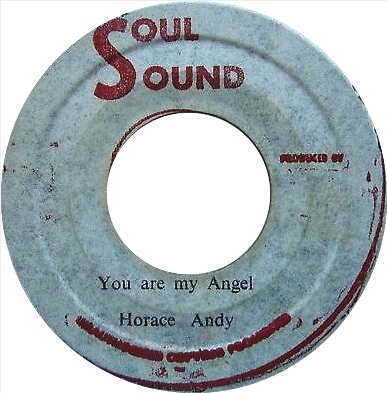 At the time of Horace’s arrival to the music scene in Kingston, Bob Andy’s career was rising, so Coxone gave Horace the same surname to gain some of the fame coming from Bob. Despite the similar name and the songwriting talent, Horace’s voice however was so different so that when he auditioned for Coxone at Studio One, the producer and label in which he would spend a large chunk of his career, he recalls all of the session musicians at the time dropping their instruments and laughing. Despite the reaction of Studio One’s musicians, another producer had actually heard and taken a chance on Horace Andy first. He actually began his music career with a producer very much adored on the BSR, Phil Pratt. We started with Black Man’s Country, his first recording, which was released on Caltone to kick off this spotlight. Every Tongue Shall Tell: Yes. Well for some Christian minded people and Rasta people it means any wrong you do you are going to have to talk when the time comes. Because that’s what they say the King James Version tells us. That’s what the Bible says and you must live by what the Bible says. But you know the people are not doing it. They only talk it. But that is the reason why [I sang it] because of the inspiration of the Bible. It was before I was even born – “Every tongue shall tell” that means everyone shall confess their wrongs when the right time comes. See A Man’s Face Inspiration: See A Man was something that happened a long time ago. You see, when you speak the truth no one believes you. I learned that a long, long time ago. Even when you tell your mum “Mum, it’s not me do it” you get bap bap “A you do it!” That’s why more time you have to be close to the kids them and believe them when they tell you things. So I know from a long time ago that no one believes the truth when you talk the truth. That’s why I wrote that song. And because a young man broke my little sister’s heart. It had so much meaning that he broke my little sister’s heart and that’s why I wrote that song then. Money The Root of All Evil:Because I saw it. As a young man growing up I saw it. Because money, wow, it has its good and it has its bad. And because producers weren’t paying me – that’s why I wrote that song.